This automatic machine cuts and dispenses a series of preset lengths of adhesive tape on operator demand. As this machine places tape onto a rotating disk, or carousel, this tape dispenser is ideal for short lengths of tape. The carousel arrangement is also well suited for sharing between a group of operators in production situations where more than one person needs access to pre-cut tape. 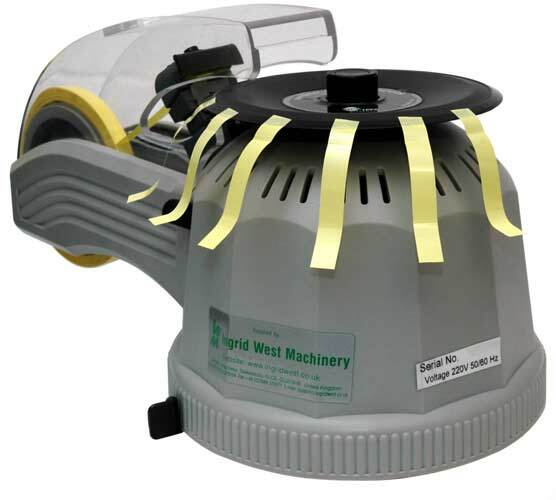 The spacing of the tape on the carousel, and the length of tape to be cut is fully adjustable, and one press of the actuation button can dispense up to 20 pieces of tape at a time. Please view the video showing this tape dispensing machine in operation.